WILMINGTON — Extreme cold and record-breaking temperatures are crawling into parts of the Midwest after a powerful snowstorm pounded the region, and forecasters warn that the frigid weather could be life-threatening. 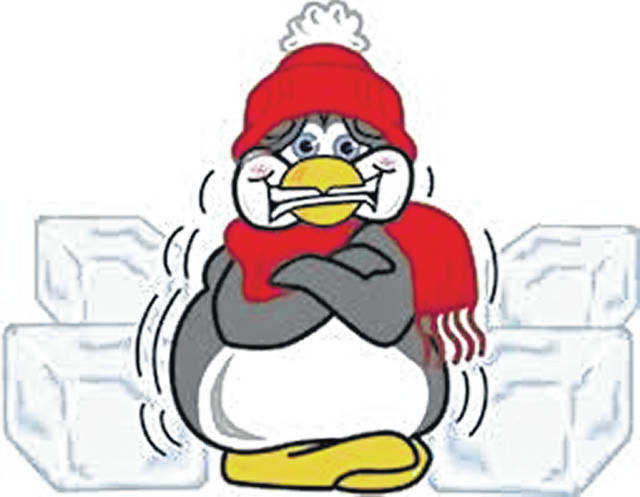 A Wind Chill Warning for “dangerously cold wind chills” as low as 30 degrees below zero was issued by the National Weather Service in Wilmington for 4 a.m. to 7 p.m. on Wednesday, with a Wind Chill Advisory issued for 7 p.m. Wednesday to 1 p.m. Thursday. Wilmington College announced early Tuesday afternoon that its main campus would be closed on Wednesday, followed later in the afternoon by a similar announcement from Wilmington City Schools. Hundreds of Michigan schools were closed Tuesday, including in Detroit, while Chicago Public Schools canceled Wednesday classes because of the anticipated cold snap. On Monday, snowplow drivers had trouble keeping up with the snowfall in Minnesota and Wisconsin, where some areas got as much as 15 inches of snow. Chicago-area commuters woke up to heavy snowfall, with more than 5 inches already on the ground. In Michigan, nonessential government offices were closed, including the Capitol. Associated Press reporters Ivan Moreno in Milwaukee, Caryn Rousseau in Chicago, Gretchen Ehlke in Milwaukee and David Runk in Detroit, and AP Science Writer Seth Borenstein contributed to this report.